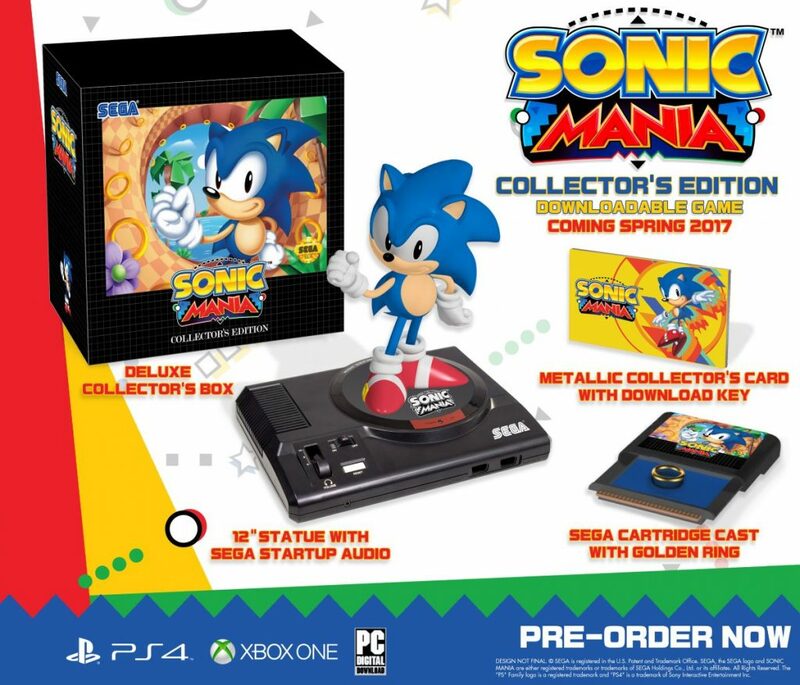 My Nintendo have announced today a tie-in promotion to celebrate the Sonic Forces’ release on Switch. The promotion comes with 50% off offers (that cost gold or platinum coins) on most Sonic titles on Wii U and 3DS, plus a couple of bonuses. The Sonic Stadium has discovered even more Sonic Boom concept art, but this time for last year’s Nintendo 3DS release Sonic Boom: Fire & Ice. 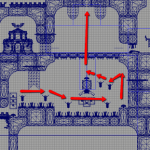 The images were found on the portfolio of Casey Holtz a contract designer who worked on the game’s level and system design. General systems tuning and support. 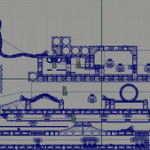 The concept art gives us a look at early stage and boss level sketches. In the original image files we can see they date back between November 2014 and early 2015 telling us the game was still in the very early stages not long before it was announced in June 2015, so it’s no wonder the game was delayed until September last year. Check out the images in our gallery below and share your thoughts in the comments. Sum-Up Sunday: Bricks, Booms, and Mania, Oh My! News concerning all things fast and blue over the past few weeks has started to pick up quite a bit, and since a lot has transpired following the release of Sonic Boom: Fire & Ice, I think it’s fair to say that a quick recap of recent events is in order! Continue reading Sum-Up Sunday: Bricks, Booms, and Mania, Oh My! Here we are at last. It’s been almost two years after the Sonic Boom branch of the series launched with the TV show and the accompanying Wii U and 3DS games. We now have the second main Sonic Boom game (depending if you view Rise of Lyric on Wii U and Shattered Crystal on 3DS as a sibling pair of games), and this time it’s only on 3DS. Like Shattered Chrystal before it, Fire & Ice is once again developed by Sanzaru Games, who is also known for the Sly Cooper HD trilogy remaster and the fourth Sly game a few years back on PS3 and Vita. While Big Red Button’s Rise of Lyric launched in a poor and buggy state on Wii U, Shattered Crystal on 3DS was considered to be at least decent, though it had issues of its own. The question is, how does Fire & Ice fare? So it’s no great secret that the Canadian dollar has flopped quite a bit over the past decade, with prices on imported goods having seen a major increase in order to make up for the drop in our currency’s worth. Meanwhile, Amazon Prime members in the US of A have enjoyed their exclusive 20% discount on the latest and upcoming hits in gaming while their northern neighbours wondered why they were still subscribed to this service in the first place if no such incentive was available to them. 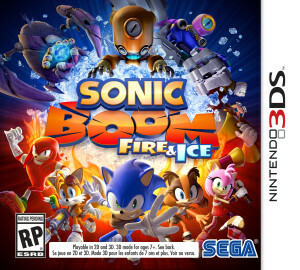 It’s been two years in the making, but Sanzaru Games’ Sonic Boom: Fire & Ice for the Nintendo 3DS is finally upon us. Having launched for the Americas just yesterday, the third installment of the spinoff series will be arriving in Europe this Friday while Japanese hopefuls will have to wait another month. Promises were made about the game shaping up to be better and faster-paced than the preceding Shattered Crystal, and according to most critics, Sanzaru certainly delivered. You can check out the launch trailer above, as well as a review roundup below! We’re less than two weeks away until Sonic Boom: Fire & Ice launches on the Nintendo 3DS, and new information and footage from the game is dropping nearly by the day. That said, there is still an air of uncertainty and apprehension surrounding the new Sonic Boom-branded game, despite its one year-delay and SEGA’s promise to uphold a higher standard of quality in all of their games. This scrutiny isn’t without grounds and neither is it be unexpected, considering the disastrous launch of Big Red Button’s Sonic Boom: Rise of Lyric on Wii U, which was received poorly by critics, and Sanzaru Games’ Shattered Crystal on 3DS, which didn’t live up to fans’ expectations for a 2D Sonic game. With Sanzaru once again at the helm, however, the team aimed to improve on Fire & Ice where Shattered Crystal went wrong, as the game’s creative director Mat Kraemer explains in an interview with GameSpot. This year’s Tokyo Game Show kicks off on September 15th, and with it will come plenty of big reveals from some of the industry’s biggest developers and publishing giants, as well as over 200,000 people expected to be on the show floor to try out upcoming titles. SEGA will be attending the event with livestreams going on throughout the show, showing off the likes of Yakuza 6, Persona 5, and the new Puyo Puyo Chronicle among other wares. The latest SEGA 3D Classics compilation title from M2, SEGA 3D Fukkoku Archives 3: Final Stage, and Sanzaru Games’ Sonic Boom: Fire & Ice will also be present, complete with new gameplay footage and a live stage event featuring special guests like M2 President Naoki Horii and Sonic series director Takashi Iizuka respectively. Check out SEGA’s complete TGS 2016 schedule below! 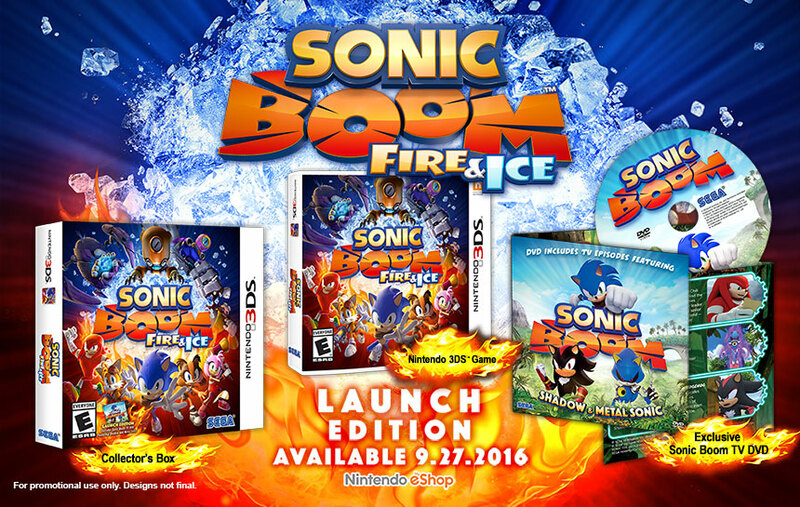 There’s not much time before the launch of Sonic Boom: Fire & Ice for the Nintendo 3DS. Come the end of September, Sonic fans in the West can get their hands on the third playable instalment of the Sonic Boom series, helmed by Shattered Crystal developer Sanzaru Games as the studio aims to improve where the previous game went wrong – with SEGA going so far as to delay it by a whole year as part of their pledge to aim for a higher standard of quality for all of their games from here on out. SEGA of Japan recently hosted a near-two hour long livestream showing off several of their upcoming games, including the latest Yakuza, the recently revealed Puyo Chronicle, and Atlus’ highly anticipated Persona 5, but not without kicking things off with a sneak peek at the localized Sonic Toon: Fire & Ice. 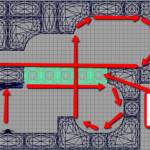 Gameplay featuring Sonic, Knuckles, and Sticks was shown off in the segment, as well as another look at the Sonic Rivals-esque Bot-Racing. You can check out the interview in full, or watch just the gameplay with footage spliced together by BlueParadox, after the cut! After months of inactivity, Sonic Boom Fire & Ice has finally got a new trailer. The trailer is a combination of game play footage and CG sequences. I’m unsure as to if there is anything really new in the footage, but it is nice to finally see the same after so many months of silence. I’ll reserve judgement on what I think of the trailer for now, but let us know what you think in the comments. Edit: I looked through both the trailers to see if I could find any noticeable differences, this was the best I could find. Yes those are the episodes which have cameos by Metal Sonic & Shadow. In addition to this, it’s strongly implied that Boom will be playable at this years E3. The online game rental site GameFly is now listing the game for a Dec 31 2016 release date at least in North America, however this is just another way of saying it’ll be out in 2016 at some point. This change is very recent, as looking through a Google Cache of the site, it showed that as recent as September 8th that the game was still listed for November 3 2015. If this is indeed true, we may just be in a very rare turn of events where we go a whole year without a retail Sonic game. 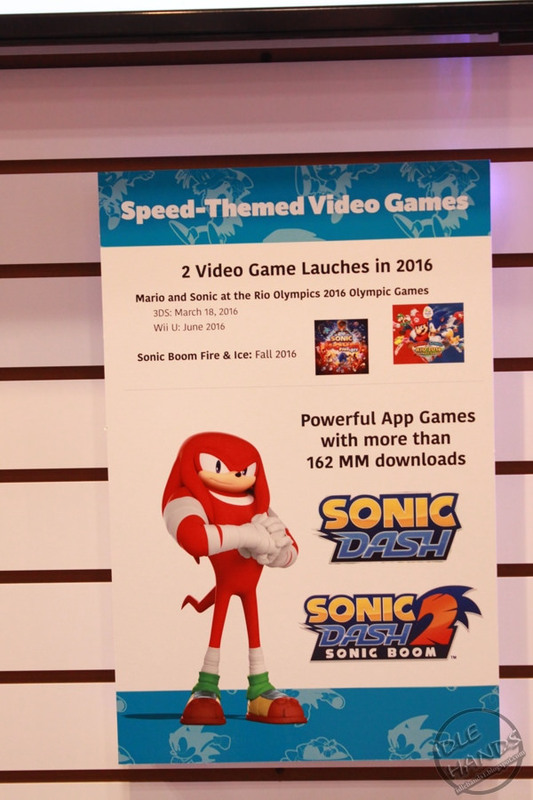 Mario & Sonic at the Rio 2016 Rio Olympics are also scheduled for 2016 as opposed to their usual release being in the year prior to said Olympics. In today’s edition of The Spin, I want to talk about something I think that, despite being a question no one will ask; if a Sonic Boom game can be good let alone should be made, is that if such a game period can be good or even GREAT. Short answer? Of course it can! The long answer? I have some ideas. 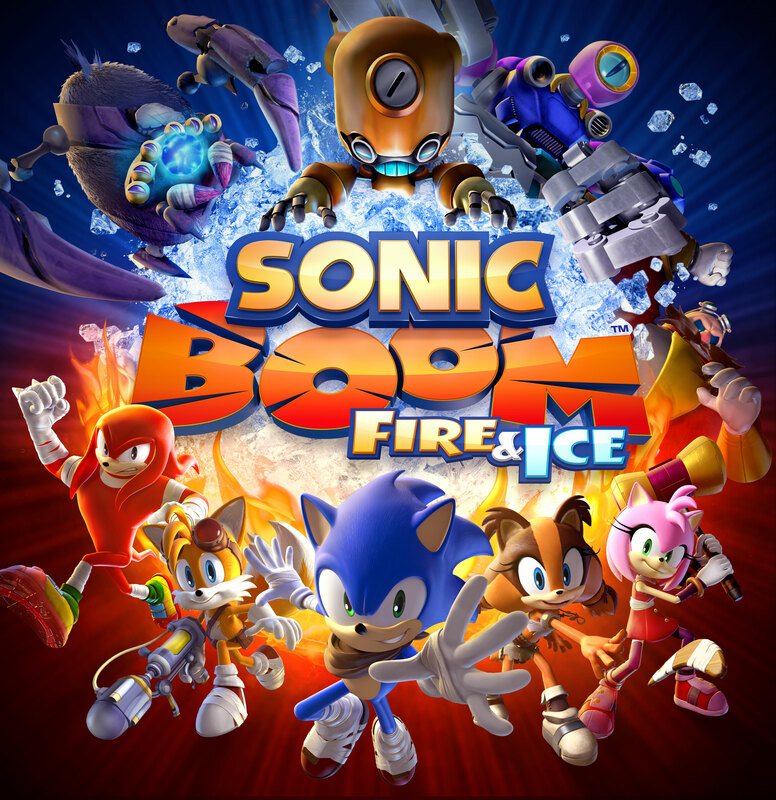 Sonic Boom Fire & Ice may not have been at E3, but it’s up on Amazon for pre-order, along with a brief plot synopsis which some may find they’ve heard before. Dr. Eggman has discovered the supercharged element ragnium on the mythical Island of Ragna Rock. He mines it as a fuel source, piping off the messy by-products of the operation to adjacent islands, creating fire and ice gameplay. Using this fuel to power his ultra-fast bot racers is his latest plan to discredit his eternal rival Sonic, but backed by ragnium, fire and ice, a robot army, and D-Fekt, an unflinchingly powerful henchman, this time Dr. Eggman just may succeed. Sonic and friends must re-claim each island by destroying enemies, vanquishing the Island Defender, winning rival races, and reversing the flow of the elemental tubes. It all culminates with an epic battle on the Island of Ragna Rock where Sonic may just have to save Dr. Eggman from his own creation. Eggman finds a source of incredible power, builds a powerful robot army, his creation turns against him, Sonic has to save Eggman. That sounds, very familiar to a lot of previous Sonic games, in fact it sounds very similar to the plot of Rise of Lyric in many ways. Amazon is currently asking for $39.99 for pre-orders and currently has a placeholder release date in place. 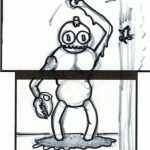 Also don’t forget to check out more information by Aaron Webber about the game as grouped together here. As a reminder, Sonic Boom: Fire & Ice is developed by Sanzaru Games, and will be released on 3DS this winter in NA and EU. Sonic PR man Aaron Webber has taken to NeoGaf and Twitter to answer the burning questions fans have for the upcoming Sonic Boom sequel. The first thing he’s made sure to address is the game’s quality. “We’re putting a Big effort into improving the game based on feedback from last year!” Big puns aside, Webber has elaborated on what’s been improved. 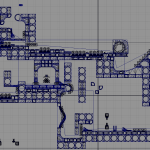 First of all, the level design has been streamlined. Shattered Crystal’s stages were criticized for being too large and taking too much time, but in Fire and Ice the levels will allow for a faster experience. The collectibles that forces players to replay stages in order to progress have also been repurposed. 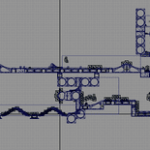 Now, stages only need to be completed once and collectibles only serve to unlock “neat things” according to Webber. Within the levels, you’ll find elemental blocks and interactable components that you can adjust depending on which of the elemental powers you have on. As you can see in the trailer, you can melt ice blocks with fire, or freeze water blocks with ice, etc. 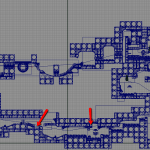 It’s all pretty simple early-on, and gets more complex as you progress. The game’s music is being composed by none other than Richard Jacques, who’s best known within the Sonic community for his work on the Saturn version of Sonic 3D Blast, Sonic R, Sonic & All Stars Racing Transformed, and both of last year’s Sonic Boom games. Finally, when asked whether or not the game might be ported to the Wii U, Webber said that there are currently no plans to release the game on any other platforms. So if you don’t have a 3DS, I’m afraid you’re out of luck! 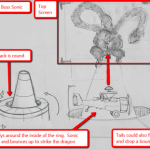 Those are all the details Webber has revealed today, but be sure to stay tuned as we continue to bring you all the latest on Sonic Boom: Fire & Ice! UPDATE: I’ve given the article a major overhaul to hopefully provide a better look at the announcement. Sorry about the emptiness and overall generic look before. Well, this is something I don’t think anyone on the fandom ever expected to see. Sega have just announced a second Sonic Boom game, this time only for the 3DS called Sonic Boom: Fire & Ice. Just like Shattered Crystal before it, it’s being developed by Sanzaru Games (who you may also know for the Sly collection on PS3 and Vita and the 4th Sly game Thieves in Time, also for PS3 and Vita), and it’s due this winter in NA and EU. The game is a response to the high success of the cartoon which is the “#1 program on all TV among boys 6-11 and 9-14 in its time period”. Also key new features in the game is the addition to Amy as a playable character, and the new mechanic of swapping between fire and ice powers that grant new abilities to interact with the game’s environments, as well as Bot Racing, which is tied to the game’s story and multiplayer gameplay. 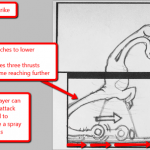 Players can unlock character-themed bots to use in competitions against friends on “fast courses and tracks”. Also new is a new villain named D-fekt, though info on the character is pretty light at the moment. SAN FRANCISCO, Calif. – June 9th, 2015 – SEGA® of America Inc. announced today that its iconic ‘blue blur,’ Sonic the Hedgehog, will be racing once again in Sonic Boom: Fire & Ice for Nintendo 3DS. The newest title will build off of the highly successful animated series on Cartoon Network, currently the #1 program on all TV among boys 6-11 and 9-14 in its time period, and serve as the latest chapter in the Sonic Boom™ franchise. The game will introduce more adventure, speed, exploration, and an all-new fire and ice gameplay element that will help propel the action. Sonic Boom: Fire & Ice, featuring the triumphant return of Sonic, Tails, Knuckles, Amy and Sticks, will be available exclusively on Nintendo 3DS later this year. Developed by Sanzaru Games Inc., Sonic Boom: Fire & Ice is a single player game with collaborative gameplay components that shares key characters, events, and lore of the Sonic Boom universe. Players will see Sonic and his friends in familiar settings as they embark on a brand new adventure to battle Dr. Eggman as well as an all-new super villain, D-Fekt. The team’s adventures will bring them to locations both familiar and new as they explore, race and protect their world. New to the title is the introduction of Bot Racing, a supplemental game tied to the single player story with multiplayer gameplay. The new Bot Racing feature is an extension of Sonic Boom: Fire & Ice that is purely about racing and speed, where a user will unlock character themed Bots to challenge friends on fast courses or tracks. 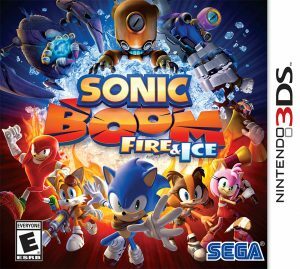 Sonic Boom: Fire & Ice for Nintendo 3DS will run alongside the top rated animated series on Cartoon Network, in addition to a national merchandising and promotional campaign. The Sonic Boom television series, coproduced by SEGA of America Inc. and OuiDO! Productions will continue to air new episodes throughout the year – and beyond! This summer, the Sonic the Hedgehog franchise will be supported with the launch of Sonic Central, a brand new Sonic the Hedgehog information app, arriving on both iOS and Android devices. This one-stop-shop for all things Sonic will give fans exclusive art and wallpapers, character information, clips from the animated series, concept art, and games. Sonic Pix, a unique function within the app, will inspire fans creativity by allowing them to include Sonic and his friends in their photos. Sonic the Hedgehog first appeared as a videogame character in June 1991, and instantly became an icon for a generation of gamers. Defined by his super-fast speed and cool attitude, in the years since he first raced on to videogame consoles, Sonic has become a true global phenomenon with over 140 million videogames sold or downloaded worldwide across consoles, PC’s, mobile phones and tablets. SEGA’s iconic blue blur has also gone on to enjoy incredible success in many licensed areas, such as toys, apparel, comics and animation. 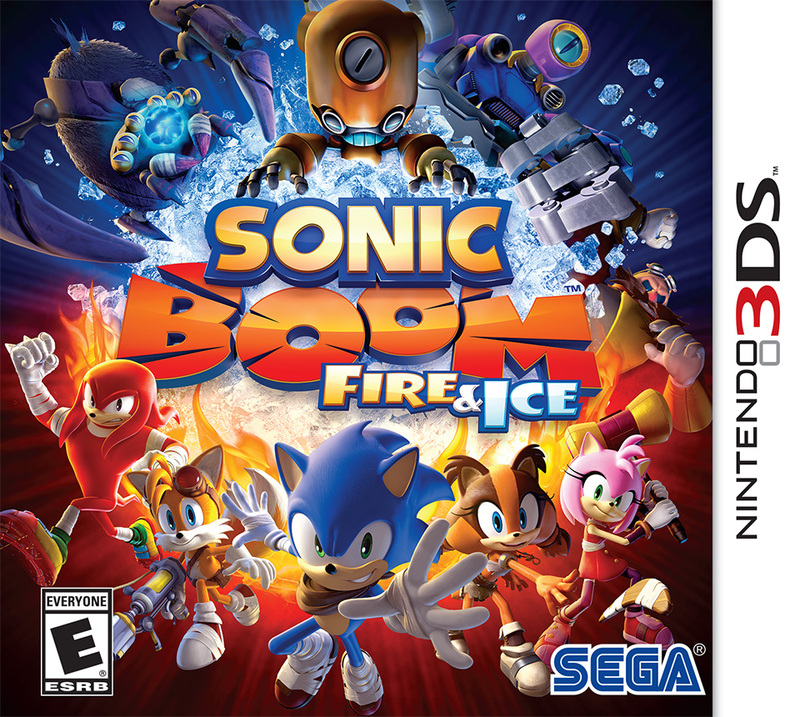 Sonic Boom: Fire & Ice for Nintendo 3DS will be available in stores throughout North America in Holiday 2015. How do you feel about the game’s announcement? 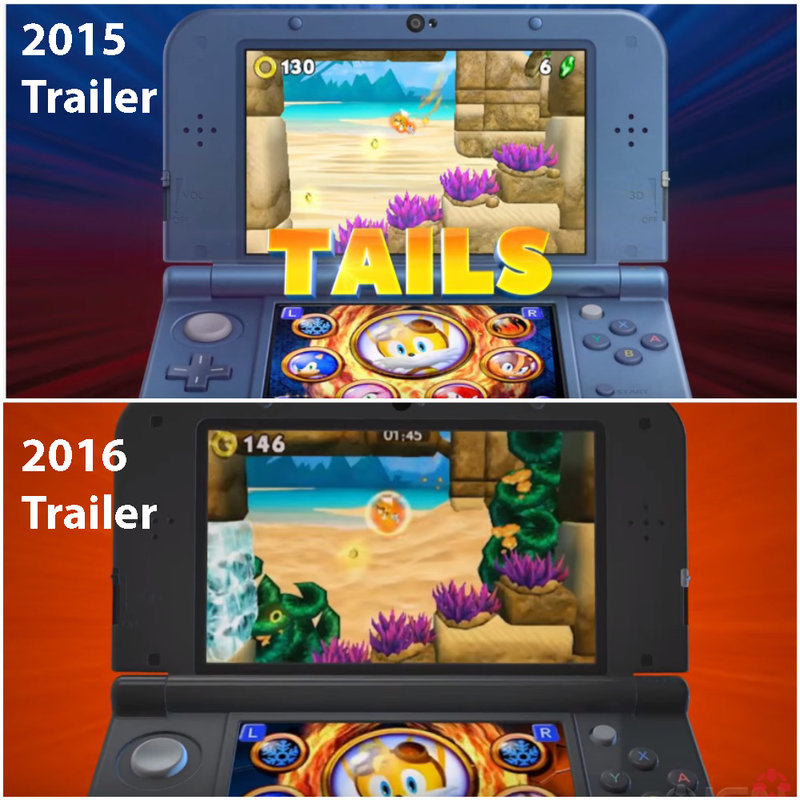 Were you hoping for a second Sonic Boom game? Are you looking forward to it? Let us know in the comments.